Depending On What Kind Of Car You Own…It Might Be EMP Proof. One of the biggest threats facing both the United States and most of the developing world is the threat of an EMP (electromagnetic pulse). An EMP is a large, magnetic pulse that can take place after either a man-made or a natural event. This could be a nuclear bomb attack, a lightning strike, even a solar flare from the sun. If you’re curious what the dictionary definition of EMP is read below. An EMP is a short burst of electromagnetic energy. Such a pulse’s origination may be a natural occurrence or man-made and can occur as a radiated, electric or magnetic field or a conducted electric current, depending on the source. The term “electromagnetic pulse” is commonly abbreviated EMP (which is pronounced by saying the letters separately, “E-M-P”). EMP interference is generally disruptive or damaging to electronic equipment, and at higher energy levels a powerful EMP event such as a lightning strike can damage physical objects such as buildings and aircraft structures. Here’s the thing about an EMP event and you car. First is there are two kinds of EMPs I’m going to be discussing. Natural ones such as en EMP from a solar flare and one created by a nuclear bomb detonated in the atmosphere, referred to as a HEMP (high altitude EMP). Both are going to be extremely harmful and both can affect your car’s ability to perform. There are a few significant factors that determine what’s effected by an EMP, and that’s both the duration of the EMP and the amplitude. A small nuclear bomb detonated in the air with a short duration might only affect a small area. 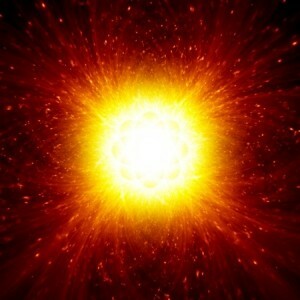 A major nuclear event detonated high in the atmosphere could affect a much larger area. Perhaps an area the size of the entire U.S.
And a solar flare could do major damage to the entire world, again, depending on how long it lasts and how big it is. So with all of this in mind it’s important to get a handle on what’s going to be effected by the EMP…in particular your car. I’m going to take a minute to explain what makes your car EMP Proof. Before you go too much further in this article please be aware I’m not going to go into detail about how you can fix your car in the event of an EMP or what you can do to “EMP Proof” your car. That’s beyond the scope of this blog post as it’s entirely dependent on the car you own and could literally take hundreds of pages to cover. Here you’re simply going to be provided with a small checklist that’ll help you see if your car is at risk. Depending on how old you are you might remember a time without computers. Nowadays it seems like everything has a computer…even the milk carton in your fridge (joking). And while computers definitely make our lives a heck of a lot easier they’re also extremely susceptible to an EMP. And as you might guess the computers that are everywhere are also inside of your car. That means there’s some serious risk if an EMP hits, your car is going to suffer the effects. The hardest part about determining if your car is vulnerable to an EMP is there’s no rule of thumb about a car and its computer systems. I.E. you can’t say with certainty all cars built after a certain year are going to be vulnerable or you can’t say such and such model is immune and another isn’t. However there is a general consensus that cars built before 1984 are more or less “EMP proof” because they don’t incorporate a significant amount of computer based technologies. So, as you’re looking over your car, here’s what you should keep top of mind to see if it’s going to be able to withstand an EMP. Odds are if you’ve got a car built after 1984 then it’s been built with some kind of a computer system inside. Computer systems serve all kinds of purposes for the operation of a car. For the most part they help your car perform better, they also work to increase safety, and in other cases they work to run key functions like GPS systems, automatic windshield wipers, lighting and more. At this point in time you won’t find a car coming off the assembly line that doesn’t have a computer built in. And this obviously creates issues when it comes to the severe electromagnetic surge associated with an EMP blast. In fact, computers are the most sensitive part of your car if an EMP were to hit. That’s pretty scary to think about if you consider what could happen if you were driving and your car suddenly lost all power. That’s something you have to worry about in a car with computers onboard. Important things to consider are your proximity to an EMP event and how they might affect your computer systems. For instance if your car is extremely close to an HEMP blast (and assuming you’re not) the computers onboard could be superheated and fry. That means if you managed to survive the HEMP and then tried to use your car it simply won’t work. If you’re far enough away from the blast zone there’s the chance the computer components would still be affected negatively causing your car to behave opposite of the way it was designed. This could mean automatic door locks not working, steering control systems malfunctioning, traction control systems not responding and more. All of which could put you in danger as you drive. After reading this far you already know how vulnerable an electrical system is. What’s important to understand here is just how your electric system can be damaged and what the consequences are going to be. First off it’s nearly impossible to isolate the electrical system as a single unit as it’s comprised of a host of systems. For instance there’s the radio, the lighting, the battery, along with fuses, sensors and more. And then all of these are brought together by a wire chassis and other wires that are connected to the battery to form the electrical system itself. In most traditional (non-hybrid/electric) cars the electrical system operates as a stand alone. In electric car hybrid models you’re going to have a computer overseeing the operation of the electric system. That means you can automatically assume if an EMP hits and your car is close by your car’s going to be down for the count. On traditional models if the car is on during an EMP you can expect the pulse to fry the system. If it’s off and your car is close to the blast radius the intense heat can melt the wires, causing the battery to explode. All this to be said if your car has extensive electrical systems it’s quite likely to be damaged in an EMP event. The ignition system is in charge of starting your car. Without a functioning ignition system there’s literally no way to get your car started…so it goes without saying it’s pretty darn important. Here’s how ignition systems work on most newer cars, both traditional and hybrid. Today’s non-hybrid cars rely on a “conventional starter” which uses a battery to power the starter when you turn your key in the ignition. The starter in this case is an electric motor (different than older models which relied on a crank) that kicks a flywheel on to get the car started. Because the motor is electric that means it’s susceptible to an EMP’s powerful magnetic pulse. That doesn’t mean it’s absolutely going to be damaged in a blast. It’s believed if the car is off the starter might survive the initial blast (assuming your car is far enough away from the blast where the intense heat of the blast doesn’t destroy components). Now when it comes to hybrids the outlooks is quite a bit more dismal. It should go without saying that a hybrid car (which is primarily electrical) is going to be zapped immediately with an EMP detonation. Hybrid cars rely on a complex system of batteries, electric motors and computers just to get it started…so there’s basically no way to protect them from the blast of an EMP. 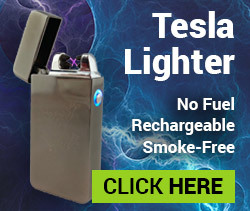 Even though they don’t have an ignition system like described above you can be confident an EMP is going to destroy your car’s ability to start. The brakes aren’t something you think about in case of an EMP attack. Turns out because of advancements in technology they’re also easily damaged in an EMP strike. In newer cars braking systems are controlled by computers to help with traction control. These computers assist your brakes in micro braking maneuvers to help your car remain stable in the event of an out of control slide. Because these computers rely on electricity to function they’re quite vulnerable to the effects of an EMP. In addition to that the hydraulic mechanisms that work to control brakes in models of cars without computer assistance can be damaged by an EMP…depending on how close you are to the event. And HEMPs can also produce an extreme amount of heat and the car’s braking system can be damaged. Rotors and calipers can warp and the braking fluid can even ignite, all of which would render your vehicles braking system utterly useless. Older cars without active brake assist are unlikely to be knocked out by the actual magnetic pulse, but the newer your car is the higher the chances the brake system will be damaged. When I say cooling system I’m not referring to the A/C but instead to the system designed to keep your engine cool so it doesn’t over heat and blow up. Your cooling system is made out of three different units. You’ve got the oil system, the radiators and the thermostat. The system that would be most compromised by an EMP event is the thermostat because in newer cars it works alongside your car’s onboard computer to help regulate the temperature of the engine. The fans on the radiator might also be damaged if you’re too close to an EMP as the motorized fans the radiator uses to pump antifreeze through the engine block for cooling. And lastly, if your car is quite close to the event, then the oil pump can burst or melt because of the intense heat. This would prevent it from functioning correctly. How Do You EMP Proof Your Car? The truth is if your automobile is a new version then there isn’t a real way to EMP proof your car. If your car is quite close to the blast zone of an HEMP then your car is going to suffer the consequences no matter what. And if you’ve got computers in your car they’re going to be quite susceptible. There really isn’t much you can do about that either. It’s nearly impossible to replace the computers and get the same kind of functionality out of your car. A few things you can do is keep newer cars with computers and advanced electrical systems in EMP proof garages. You can buy plans on building an EMP proof garage. You can also replace some components in newer cars to EMP proof the car. Again, I’m not going to get into covering that here, but it is something you can do more research on. At the end of the day you have to come to terms with the likelihood your car will be effected by an EMP. 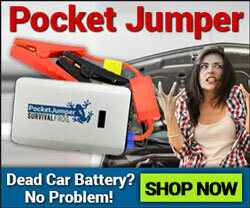 That’s why it’s so important to have an emergency kit in your car. 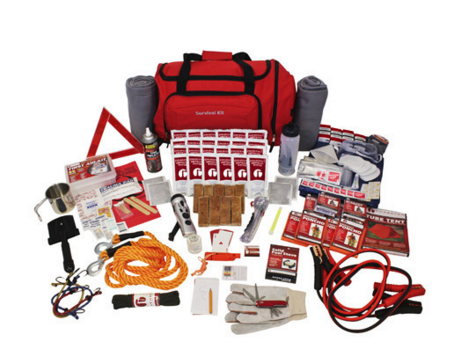 Take a look at our car emergency kits here or by clicking on the image below. 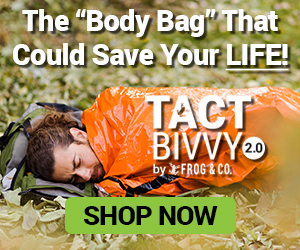 This entry was posted in Uncategorized on November 27, 2015 by Survival Frog.